Family Feast is a 10 minute cooking show in production by Electric Dreams Video for Bell Media. Every episode is a new adventure with someone of a different cultural background in the Niagara and Hamilton regions. They will showcase a dish which is special to their heritage. Alongside the chef will be our host Joe Crawford, cooking with everyday people preparing great food in there kitchens. Thank you for taking the time to communicate with us. ​This will be an exciting project to help showcase your culture and unique dishes. Kevin Gibson, owner and operator of Electric Dreams Video since the year 2000. 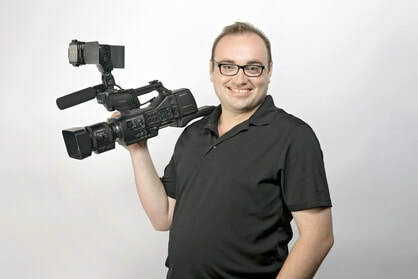 He is a graduate from the Broadcasting Radio, Television & Film Program at Niagara College. His continued passion for the arts and strong work ethic are reflected in every project. 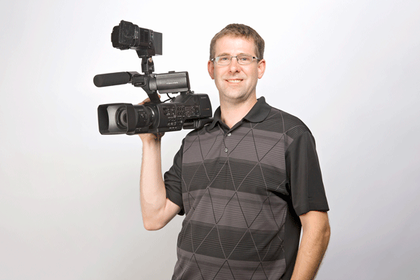 Kevin Fazekas is an experienced Camera Operator, Graphic Designer, and Editor. A graduate from the Broadcasting Radio, Television & Film Program at Niagara College. His decade of experience means your project will be professional, resulting in amazing visuals.